Where did your love of Age of Sail novels come from? The first Age of Sail novel I read was Mr. Midshipman Hornblower, which my father recommended, then the rest of the series followed. They were in Danish and I mainly read them for the adventure. The books that truly got me interested were the Kydd series. I went to my librarian and asked if she had something like the Hornblower series, but in English, since my English teacher had recommended that I should read some English literature. I took Kydd out of the library and was instantly hooked! I absolutely loved the small historical details, and I started discovering more for myself. Since then I have read most of the Patrick O’Brian novels, the Bolitho novels, the Kydd novels a couple of times and some Ramage books. I always return to the Kydd series though, since it is the perfect mix of historical accuracy and adventure. The Kydd series did not just get me interested in the Age of Sail, but also in the English language. I do read Danish literature but only when my Danish teacher makes us do it! I just completed a large examination project about Joseph Conrad’s ‘Heart of Darkness’. I feel the English language is a much richer and vivid one than Danish. You sail yourself. What type of boat do you have and where do you sail? I have sailed as long as I can remember. My father always took me sailing in our boat when I was little, and we have been all over the Danish seas. I sailed in competitions from when I was eight until I was fourteen. The sea has always been a part of me. 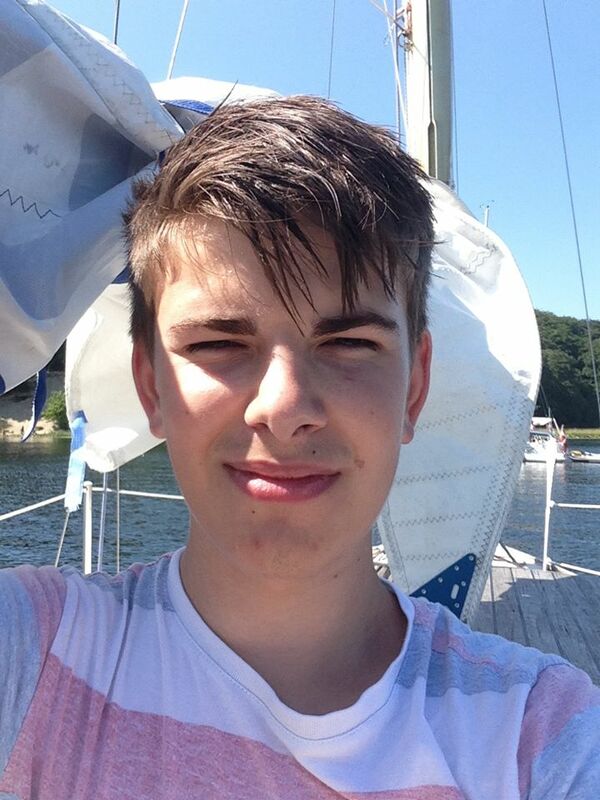 I sail a Drabant 22, which is a 22-ft long sailing boat. It is a small but very charming and fast, just perfect for a guy my age. She’s called Fie. I often joke with my girlfriend by saying Fie is the true love of my life. She is moored in Roskilde, so Roskilde fjord is my playground during the summer. Since I was a kid, I knew I wanted to have something to do with the sea. I played with the idea of a shipping career, since my father used to be in shipping. Then I started getting interested in the navy and especially the officers’ academy; something just fell into place and I knew that is what I wanted to do with my life. The entry requirement is going through changes though, and you have to get a degree to apply for the Naval Academy, so at this time I am trying to figure out what degree I should pursue. I am between law school, history and economics, but currently leaning towards law school. Do you have a favourite Kydd series novel? My favourite is definitely TREACHERY. It has a bit of everything. It sees Kydd as a young gentleman with good career prospects; it sees Kydd almost in the gutter, and it ends up with Kydd being a wealthy man. It shows the duality of Kydd very well. A very eventful book that changes both Kydd and Renzi’s lives drastically. I have read the book as a standalone several times. What are your two favourite characters and why? After Kydd and Renzi I would say my other favourite characters are Stirk and Bowden. Stirk is a rough, hard but unbelievably loyal man. The fact that he takes pride in Kydd’s rise, instead of harbouring jealousy and contempt, goes to show this hard man’s kindness and loyalty. Even though he is from the lower deck he’s also a quite clever character, and Kydd owes a lot to him. Bowden is a character that a young man can relate to. He’s also a very righteous, fair and competent officer. In many ways, he’s like Kydd. Would you have liked to have lived in the Georgian Age? I think I’m very lucky to live in this age. When one is used to a social democratic society with extremely low corruption, it would be a hard transition. That being said, sure it would be very interesting going back in time and living as a sea officer. Take Lord Cochrane for example, his life sounds like something taken straight out of one of the Kydd tales or Patrick O’Brian’s books. 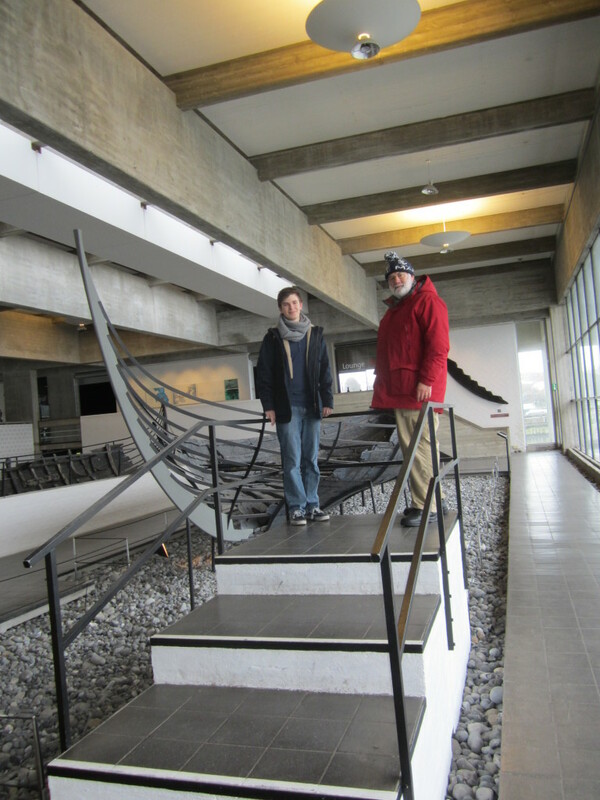 You live close to Roskilde and the Viking ship museum. What does the Viking heritage mean to you? The Viking heritage means a lot to all Danes. We are taught about the Vikings from a very young age. Denmark has a long history of losing wars, but during the age of Vikings we were the conquerors for once. Even England was under our rule. I am also proud of the sailors that sailed the dreaded long ships. We were master shipbuilders and navigators at the time. I have just changed my password and my e-mail has not changed, ever. Your site will not let me in! I insists that my e-mail or password are invalid. Annoying. When’ the next book out? Ken – bit unclear what the problem is. You seem to have got in to the site to send this message. Next book is PASHA, out in October. I have read all13 of the Kydd adventures and loved them. Now I came across a 14th “Treachery” and found I had read it under another title. Am I missing something? Hope you have another Kydd novel underway. Hi, Henry – TREACHERY and THE PRIVATEER’S REVENGE are the same book; my UK publisher used the first title, my US publisher the second title. Sometimes this does happen with different publishers and while it is noted on my website and in the actual books I appreciate it can be confusing to readers who may not have spotted this. The 13th title is BETRAYAL; the 14th is CARIBBEE, out now. PASHA (book 15) will be published in October.